Uber has hired two new health leaders: Aaron Crowell, a longtime health insider, and Lyft's Dan Trigub, according to CNBC. This news comes just a week after Lyft announced its first senior healthcare executive hire: former Change and McKesson top executive Megan Callahan. "Uber says it's very serious about the opportunity to provide transportation services to people who need help getting to doctor's appointments," according to CNBC. 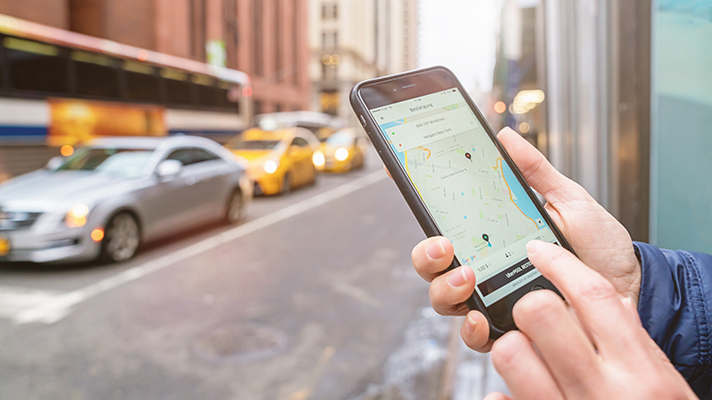 Last March, Uber launched Uber Health, with accompanying app and dashboard, as a way to partner with healthcare organizations "to provide reliable, comfortable transportation for patients," the company said. Uber also launched Uber Health API to enable easy integrations into existing healthcare products. The features include flexible ride scheduling for patients, caregivers and staff; access for patients without a smartphone; simple billing, reporting and management and HIPAA compliance. Now, more than 100 healthcare organizations in the U.S, including hospitals, clinics, rehab centers, senior care facilities, home care centers, and physical therapy centers use Uber Health as a part of the company's beta program to eliminate transportation barriers to healthcare, particularly for vulnerable populations. Some of its partners include Adams Clinical, Blood Centers of the Pacific, Georgetown Home Care, LifeBridge Health, MedStar Health, Manhattan Women's Health, NYU Perlmutter Cancer Center, Pro Staff Physical Therapy, ProActive Work Health Services, Project Open Hand, Renown Health, Thundermist Health Center and Yale New Haven Health. Nine top healthcare systems partner with Lyft in its healthcare venure, which made plenty of news of its own this past March, such as a partnership with Allscripts to allow ride-hailing directly from the EHR, work with CVS, Walgreens and BCBS to improve social determinants of health and collaborations to expand access to nursing homes and SNFs. Since 2016, Lyft has been focused on advancing the use of its services with healthcare providers, building relationships across the entire health ecosystem. Evidence of its driven surge in this mission, as of Q3 this year, Lyft has provided three times more healthcare rides over last year, the company announced. Every year, 3.6 million Americans miss doctor appointments due to a lack of reliable transportation, according to the Community Transportation Association, and no-show rates for medical appointments are as high as 30 percent nationwide, says SCI Solutions. With this in mind, transportation companies such as Uber and Lyft are trying to play a part in the solution – and some savvy health IT companies are already eyeing the lucrative opportunity provided by the race between these two transportation moguls. According to Uber, healthcare tech companies like Bracket Global and Collective Health are among those exploring ways that Uber Health can work with their offerings.